Cisco Umbrella lets you manage the internet experience on and off your network, putting you in control. Do you enforce acceptable web use to comply with internal policies? Are you required to meet compliance regulations for internet safety like CIPA? 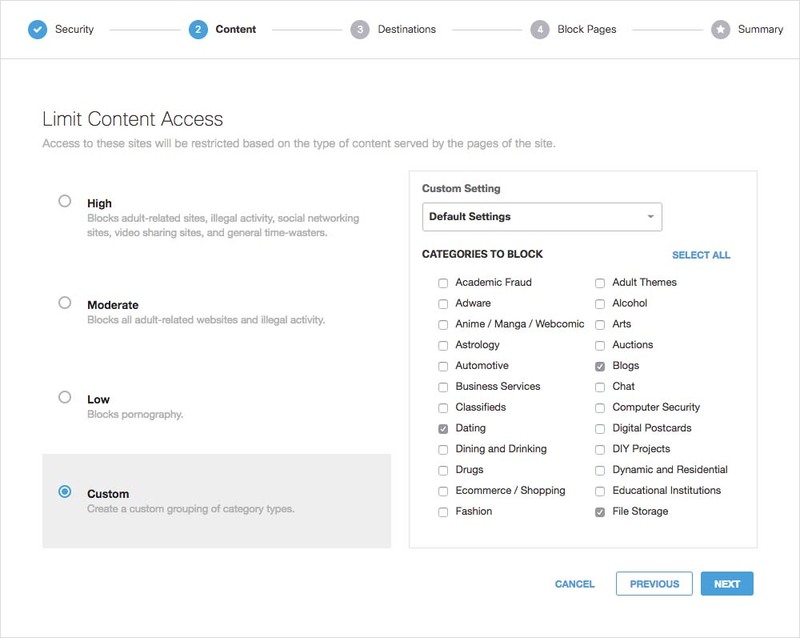 With Umbrella, you can effectively manage your user’s internet access through category-based content filtering, allow/block lists, and SafeSearch browsing enforcement. With 80+ content categories covering millions of domains and billions of web pages, Umbrella gives you control over which sites can be accessed by your users. Select “high”, “moderate”, or “low” content settings, or create a custom list based on your need. 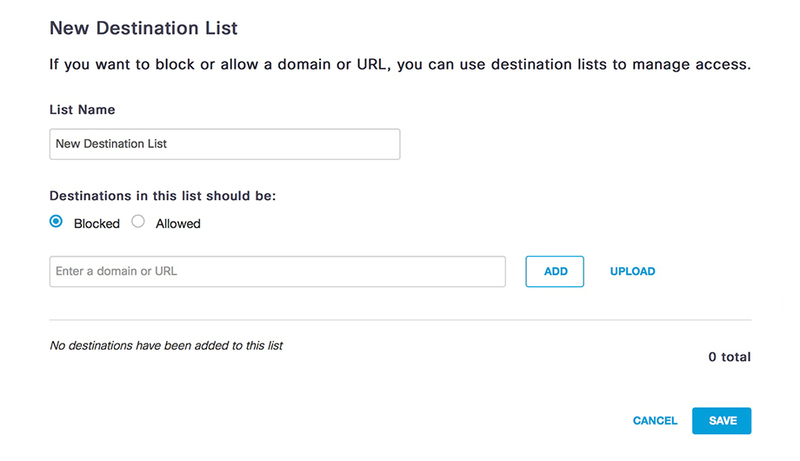 Using allow and block lists you can ensure users can always or never access certain sites, regardless of the content filtering settings applied. Umbrella enables unlimited entries and offers bulk upload for easier administration. 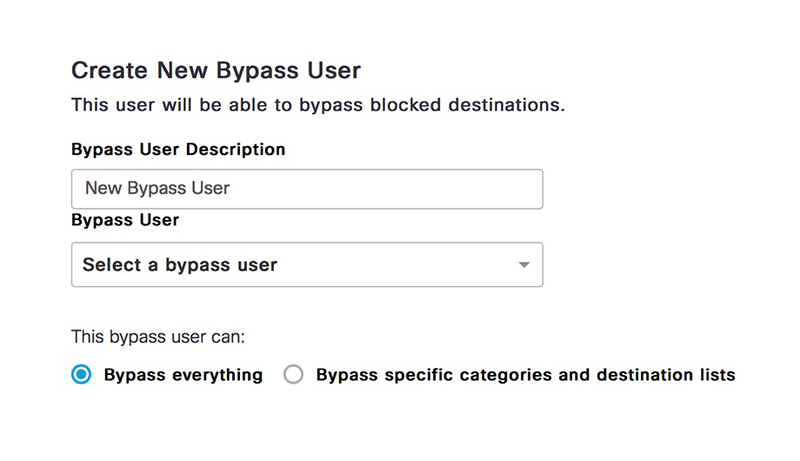 Umbrella’s block bypass feature allows certain individuals, such as your marketing managers, to access specific filtering categories, such as social networking, or individual domains, that are normally blocked on your network. 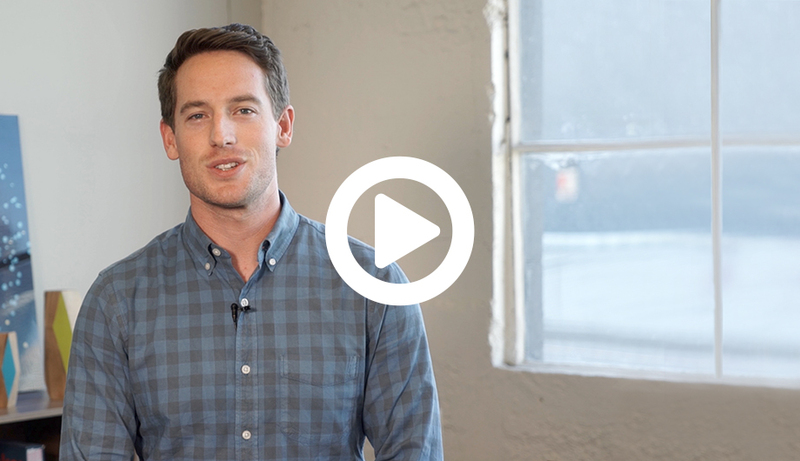 This ensures that you’re giving the right access and information to the right users. Major search engines provide SafeSearch filters that help to block explicit images, videos, and websites from search results. End users can easily turn off this feature within search engines, however, with Umbrella you can enforce this filter for Google, YouTube, and Bing. This ensures your users access only suitable browsing content. 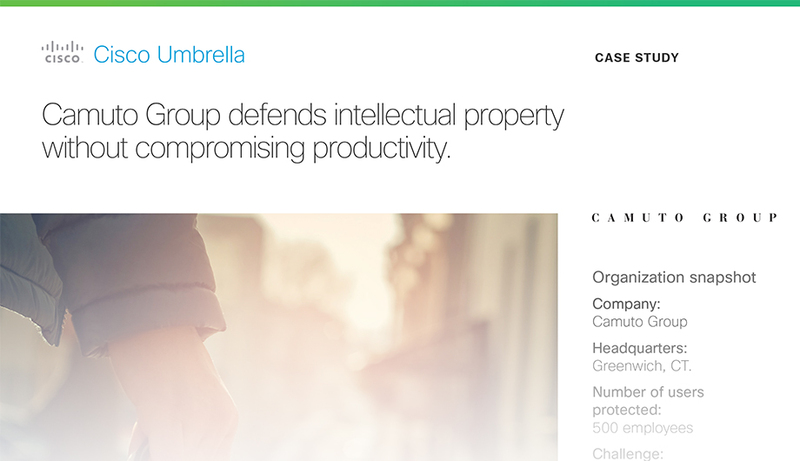 View a 5-minute demo of Umbrella including policy settings, reporting, and more. See how simple it is to provide your users with secure access to the internet, on and off the corporate network with Umbrella. Umbrella enables flexible, location-aware enforcement so your users can be assigned to policies with different internet restrictions and logging settings based on whether they’re on or off your network. Umbrella informs users of the policy with branded, customizable block pages, and offers approved, delegated users to bypass these pages. Umbrella’s easy-to-use, web-based console provides quick setup and ongoing management of policies per IP address, network, device or user, giving you greater control of your organization’s internet usage. Use Umbrella’s policy tester to run simulations to check if policies are enforced the way intended so you can implement with confidence.